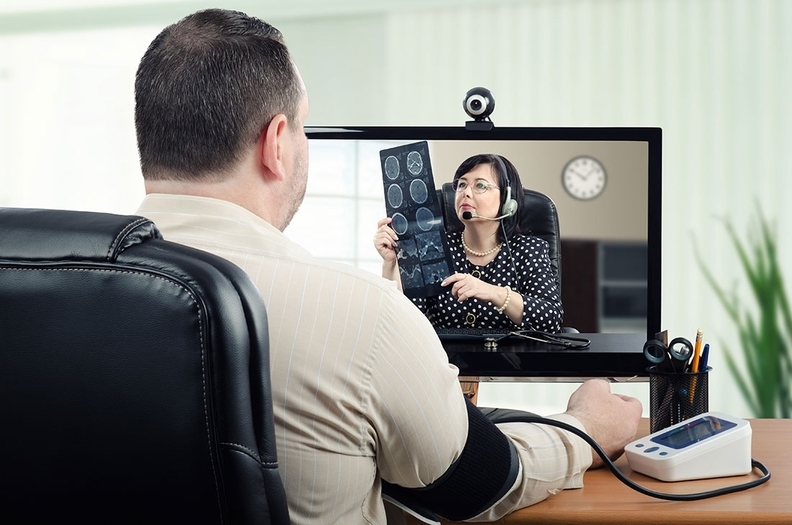 Industry groups and telemedicine providers are praising the inclusion of telemedicine legislation in the recent congressional budget deal, saying it paves the way for greater use of the technology and will boost access to care while reducing costs. The House and Senate passed a budget deal in the early hours of Friday, which funds the government through March 23 and outlines budget goals for the next two years. The legislation included the Creating High-Quality Results and Outcomes Necessary to Improve Chronic Care Act of 2017, with which legislators would funnel more Medicare money into telemedicine by allowing Medicare to cover more services for treating chronically ill patients. "We believe this helps move the needle forward on Medicare reimbursement, which remains a substantial barrier to adoption," said Mari Savickis, vice president of federal affairs for the College of Healthcare Information Management Executives. The legislation also allows accountable care organizations to further use telemedicine and expands Medicare Advantage telemedicine coverage for all patients and for stroke patients and recipients of dialysis at home. "The idea with ACOs is there's more flexibility to use these telehealth technologies to better coordinate care, to better monitor patients after they've left the hospital," said Robert Tennant, director of health information technology policy for the Medical Group Management Association. "This is recognition that telehealth is an increasingly important component of the healthcare delivery system." In addition, the legislation calls on the HHS secretary to solicit feedback on what services should be treated as telehealth benefits. "This is a first step to make healthcare less painful by embracing modern technology," said American Well CEO Dr. Roy Schoenberg. Telemedicine growth has been hindered by limited reimbursement. Reimbursement was the most frequently cited limitation to on-demand visits, scheduled visits and telespecialty consultations, according to a 2017 survey by KLAS and CHIME. Licensing and regulation also limited telehealth, according to the survey. More legislation could lessen that limitation, said Dr. Rebecca Hafner-Fogarty, senior vice president of policy and strategy at Zipnosis. "A next logical step would be the passage of bipartisan, bicameral legislation like the CONNECT for Health Act, which further reduces originating site restrictions for Medicare telemedicine visits," she said. But passing the CHRONIC Care Act is already a step in the right direction and shows the desire for using technology in healthcare, Hafner-Fogarty said. The Physician Fee Schedule for 2018 reflects that desire. This year, it includes reimbursement for remote patient monitoring and CPT codes for telemedicine for the first time. But there's still work to be done to further expand reimbursement and access to those who currently wouldn't have telemedicine care covered by Medicare. Commercial payers, for instance, must also act to broaden telehealth reimbursement, Tennant said. "Medicare is an enormously important payer, but they're not the only one."